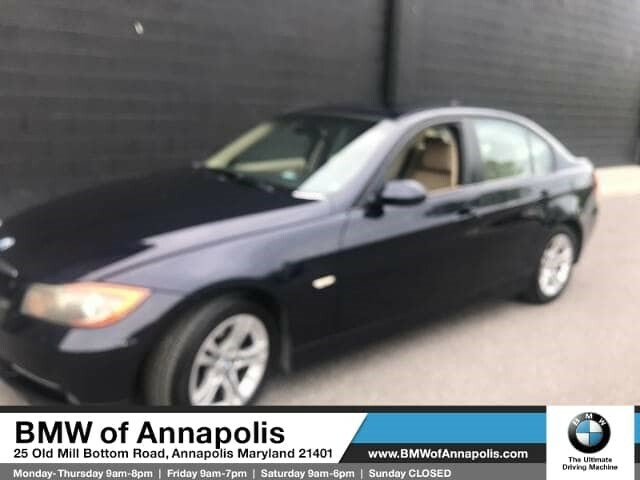 We are excited to offer this 2008 BMW 3 Series. Your buying risks are reduced thanks to a CARFAX BuyBack Guarantee. The 3 Series 328i is well maintained and has just 100,752mi. This low amount of miles makes this vehicle incomparable to the competition. Based on the superb condition of this vehicle, along with the options and color, this BMW 3 Series 328i is sure to sell fast. More information about the 2008 BMW 3 Series: The 2008 BMW 3-Series continues to be the benchmark against which other entry-level luxury cars are measured, mainly courtesy of its excellent driving experience. Power, braking, and handling are perfectly matched to the vehicle's size and intended usage. The way BMW takes care of business inside the cockpit also has a lot to do with the popularity of this breed. The 3-Series makes sure no buyer is left behind by offering four body styles, three engines, and both rear- and all-wheel drive. 2008 also will see the new M3 in coupe, sedan, and convertible form, adding racecar-like performance to the lineup. Strengths of this model include wide variety of bodies and drivetrains, the near-supercar M3., the best inline six-cylinder engines for those who love motoring, and Driving pleasure par excellence We look forward to seeing you soon! Please call us for more information.